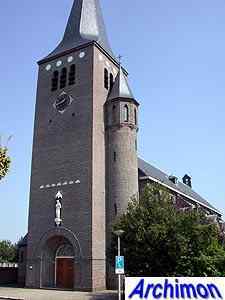 After the Reformation most people in Wierden had become protestant. Only four families remained catholic. Somehow, their number must have grown, because in ca. 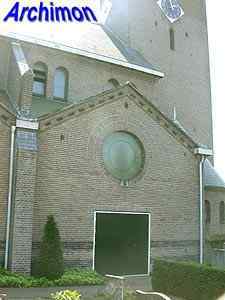 1700 catholic masses were held in a barnchurch. 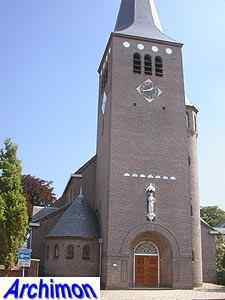 In 1818, some two decades after freedom of religion had been proclaimed, a first true catholic church was built. 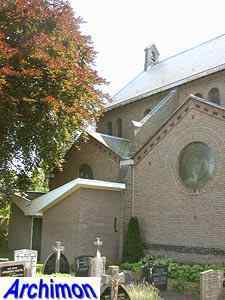 In 1824 a parish was founded. 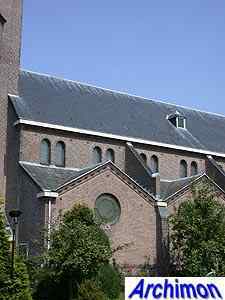 Growing numbers caused the need for a bigger church, which was completed in 1848. By 1915 this church had become too small as well and needed replacing. 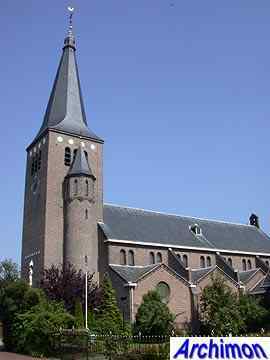 Architect Jan Stuyt designed a new church in a neo-Romanesque style similar to many others he had designed. 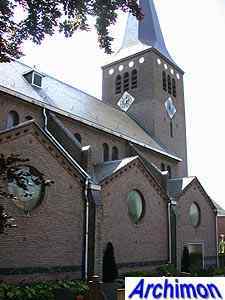 Like his churches in Berkel-Enschot and Ijsselmuiden, to name just two, the nave consists of three-aisles, with the side aisles each having a separate gable and roof and the clerestorey having small windows, and the choir has a semi-circular closure. 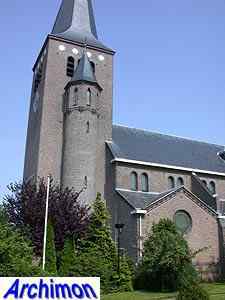 Unlike with most of his other churches, this time Stuyt put the tower right in the front of the nave. 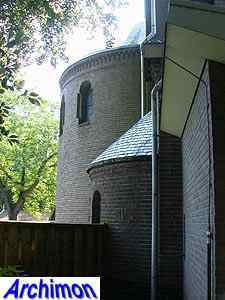 The tower has a round stair-turret on one of its sides. On the other side is a baptistry. 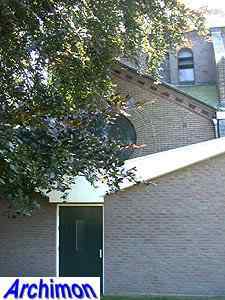 More recently, a modern space was added to the church, blocking the view at the choir.